Link Global are perfectly placed to handle your Switzerland contractor accounting. Structure your work arrangements with confidence using our internationally renowned accounting solutions. From early planning advice to emergency payroll for imminent work, and every step in between, Link Global provides expert contractor accounting solutions for Switzerland and worldwide. Link Global Management are perfectly placed to handle your Switzerland contractor accounting. Structure your work arrangements with confidence using our internationally renowned accounting solutions. From early planning advice to emergency payroll for imminent work, and every step in between, Link Global Management provides expert contractor accounting solutions for Switzerland and worldwide. Switzerland has restricted quotas for foreign workers, and everyone requires work authorisation. To get permission to work in Switzerland, there are different conditions if you’re from a country in the EU or European Free trade Association (EFTA) (EU countries plus Iceland, Liechtenstein, Norway and Switzerland) and if you’re a non-EU/EFTA citizen. Getting a Swiss work permit is becoming more difficult. Since 2015, owing to growing anti-immigration sentiment, the Swiss government has reduced the number of work permits available for non-EU nationals and for assignees from EU/EFTA countries. The non-EU/EFTA quotas for short-term work permits (L permits) and for long-term work permits (B permits) were reduced and so was the quota for short-term permits for EU/EFTA citizens. The immigration authorities have also tightened application practices, such as closer scrutiny of applications, increased salary requirements and stricter extension rules. These measures have made obtaining work permits more difficult but getting a Swiss work permit is still possible for those that meet the conditions, or work in a shortage industry. Link Global Management deducts tax and social security at source on a PAYE basis, and payments are made to the relevant authorities. Reciprocal arrangements allow workers to combine social insurance contributions paid in Switzerland and abroad with EU countries and several others. If you’re working, the contributions are shared between you and your Swiss employer, who pays half of the amount at a flat rate of 5.05%. This is the first part of the Swiss Federal social security system (compulsory old age insurance, survivors insurance and disability insurance called the 1st pillar). Membership of a company pension fund (LPP) is compulsory for all employees earning over CHF 20,520 a year. The employer contributes at least 50%. 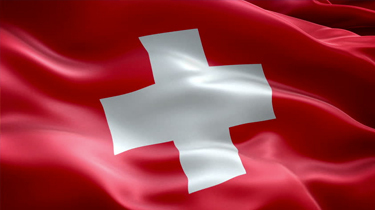 Health insurance is compulsory for everyone living in Switzerland and must be obtained within three months of arrival. Contributions to both schemes are fully tax-deductible. If you’re self-employed you must take out your own social insurance. Thinking of contracting in Switzerland?